Buying Gadgets and household items online is now very common these days and if you've not been buying your stuffs online, you might consider trying it out. Seriously, let's reason together, why do you have to go to a Smartphone store or supermarket just to get a Smartphone or an item when you can order it online and get it delivered to you at your doorstep? Probably because you want to examine what you're buying very well. Well, what if there's a way you can check what you're buying online? You'll prefer buying it online right from your PC, Right? But still, you have to be very careful when buying your gadgets and items online because there are so many fake online stores, some will sell damaged items or in most cases fake and sub-standard items to you while some will charge you twice the normal price of what you are buying and so on like that. Because of these reasons, you should only patronize a trustworthy and premium online store with quality goods. That's why I will be introducing to you a new online store in Nigeria where you can buy your gadgets easily and get them delivered to you at your doorstep. The online store is Gr8tBuy.com. Gr8tBuy.com is a unique multichannel retailer recognized for choice, value and convenience, selling general merchandise and products for the home and everyday use to all the States in Nigeria and around the world, online and over the telephone. Gr8tBuy.com also have offline stores in Nigeria for those that prefer buying in-store. There are many reasons why you should buy your next Gadget (Phones, Tablets, Watches etc) and everyday item(s) from Gr8tbuy. 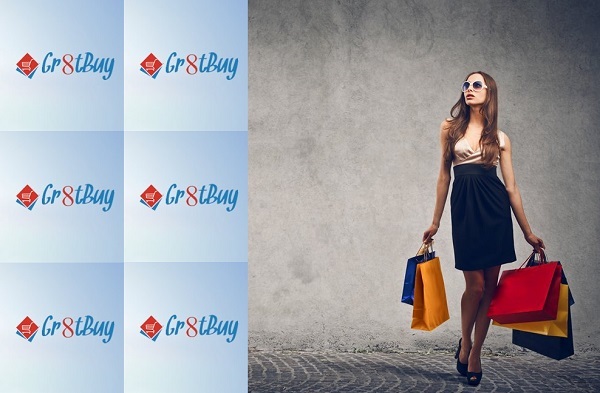 First of all, Gr8tBuy is offering credit purchases which means that you can buy now and pay later. It's very easy, straightforward and convenient to shop from Gr8tBuy. Also, the goods on Gr8tbuy are cheaper and affordable when compared to other online stores. Finally, they have amazing & superb customer service. I know you are interested in knowing more about this new online shopping store, I've listed some FAQs which you'll find useful below. How do I use Gr8tbuy.com? Shopping online with Gr8tbuy is straightforward and convenient. Do I have to register an account with Gr8tbuy to place an order? You do not have to register an account with Gr8tbuy to order online. However setting up an account on Gr8tbuy.com is a way of saving your details, such as delivery addresses for future use. This makes the site even quicker, easier and safer for use. To purchase items without registering please select the Guest Checkout option. Yes, you can. Gr8tbuy.com is designed for customers abroad and within Nigeria. Customers from abroad can both register and place an order. You can add items to your order/ shopping cart until you confirm your payment details and complete the order. Once the order is confirmed, you can't add items to the same order. If you'd like to order additional items, please place a new order. Upon completion of your order, an order confirmation screen will be generated, issuing an order reference number. You'll be sent a confirmatory mail stating your order details for future reference. You can pay for your purchases online using most major credit or debit cards, including Gr8tbuy e-Wallet, American Express, MasterCard, Visa Credit Card, Visa Debit Card, Visa Electron, or pay upon delivery of goods. Gr8tbuy also finance purchases for several months (Terms and conditions apply). Are my details secure on Gr8tBuy? Shopping on Gr8tbuy.com is as secure as shopping in any physical store or Shopping mall. Your card details will be encrypted to help keep them secure. If your credit or debit card was refused while placing an order on Gr8tbuy.com, please re-submit your order using a different card. For details on why your card was refused, please contact your card issuer. An estimated delivery lead time is shown on the check out page. Most deliveries require someone to be present to accept and sign for the delivery. This is simply to ensure the goods were delivered and received correctly. If you can't be there to sign for delivery and your order qualifies, you may be able to provide special delivery instructions during the checkout process for our drivers to leave the item(s) with a neighbour or in some other safe place. Otherwise, remember that you can specify a different delivery address while ordering and have your order delivered to your workplace, or a friend's place, etc. How can I reserve products and pick them up from your store? You can reserve products online, over the phone, or by texting from your mobile phone. With the frequently asked questions answered above, I hope you've gotten a better view of Gr8tBuy.com. Have you ever bought something from Gr8tbuy before? How was your experience with them? I'll be glad to hear from you. Kindly drop your contributions and opinions using the comment box. Have a great weekend! Thanks for sharing this. I'll check out the online store right away. Hi Raphael, Thanks for dropping by. Cool !